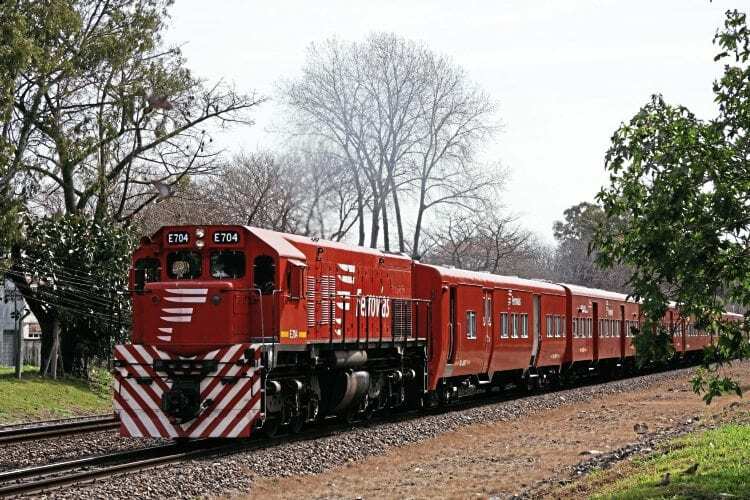 CONSTRUCTION has begun in the Argentine capital for new cross-city railways connecting previously isolated parts of the system. The network is around 900km, making it the biggest commuter rail system in South America, serving many suburban towns as well as the city itself. When complete a cross-shaped network of cross-city tunnels will connect six of the seven terminus stations enabling through operation from one side of the city to another. A central interchange station named Obelisco (Obelisk) – underneath the city’s main ‘9th of July’ square, with its famous monument – will enable connection between the two RER Red de Expresos Regionales lines and four metro (Subte) lines. Initially, a north-south cross-city tunnel for 1,676mm-gauge services is planned, connecting termini from Retiro to Plaza Constitución with an intermediate station at Obelisco. Construction of this will be followed by a west-east tunnel from the Once terminus of the Sarmiento route to the Correo Central (former main post office now a major exhibition and cultural centre). Finally, a second Retiro to Plaza Constitución tunnel is planned, parallel to the 1,676mm-gauge one, for the metre-gauge services of the former Belgrano Railway.